In January of 2013, a symposium hosted by Delta Science Program and the UC Davis Center for Aquatic Biology and Aquaculture (CABA) titled, What is a Natural Hydrograph in Regulated Rivers? 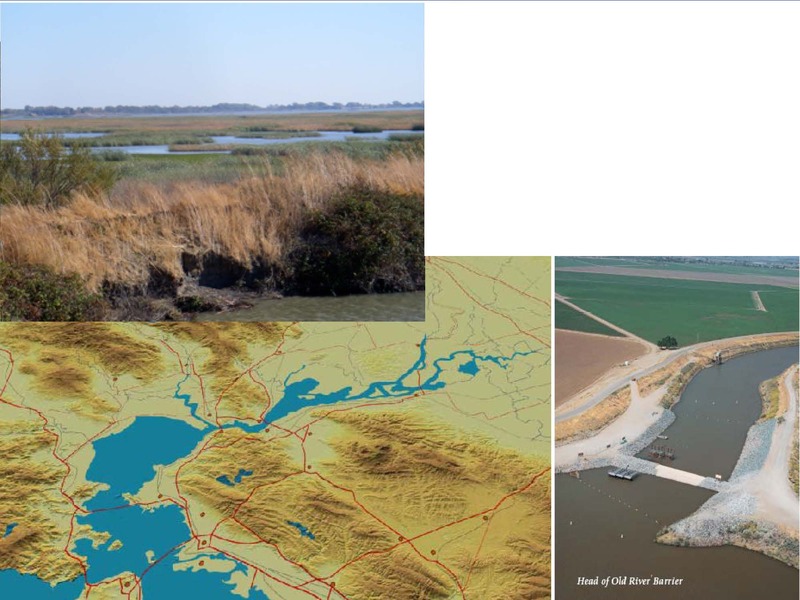 The Science of Natural Flows to the Delta, explored how the hydrologic regime of Delta inflows are impacted by land-use changes, diversions from the watershed, and climate change. 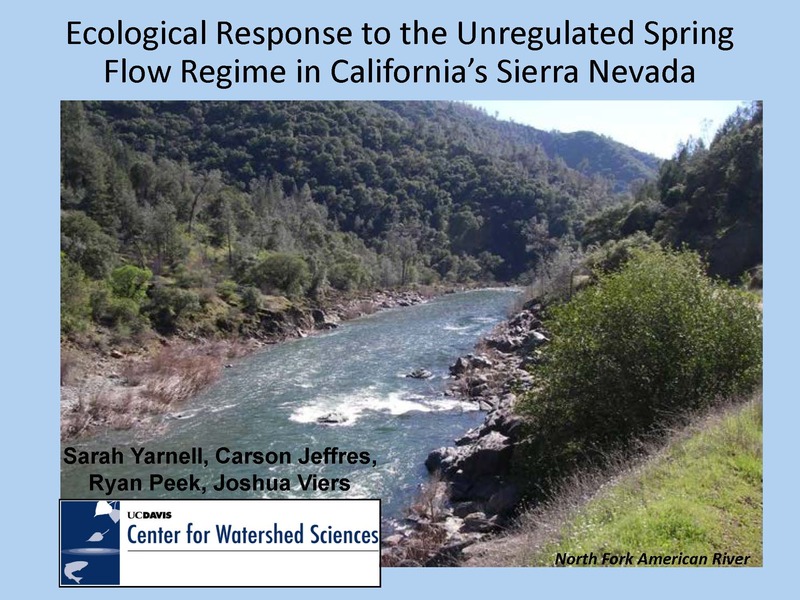 In this installment of coverage, Dr. Bruce Herbold uses conceptual models to show the cascade of responses to altered flow, drawing on four examples from the Sacramento River, and Dr. Sarah Yarnell the discussed ecological cues that native species use in relation to the flow regime and the potential implications for management of Sierra streams and rivers. Continue reading this presentation by clicking here. Dr. Sarah Yarnell is Associate Project Scientist at the Center for Watershed Sciences, and her presentation was drawn from research she and her colleagues have done regarding the relationships between aquatic native species and instream flow regimes. Specifically, she will be talking about research they conducted in the northern Sierra mountains draining into the rim dams, some of the research on the restored floodplain on the Cosumnes River, the ecological cues that native species use in relation to the flow regime, the effects of those flow regimes in regulated and unregulated systems, some of the research of climate change impacts on flow regimes, and then talk about some of the potential implications for management in our Sierra and rivers here in California. Click here to continue reading this presentation. Coming up tomorrow: Coverage of the flows conference continues with the presentation by Dr. Clifford Dahm on possible models for flow regimes from around the world, and a panel discussion. To view the webcast and power point presentations, click here. To read all coverage of the Flows Symposium on Maven’s Notebook, click here.